Three individuals who were a part of public school integration will tell their stories at the first Grassroots Speaker Series program of the semester on Wednesday (Sept. 29), from 5-6 p.m. in the Olson Auditorium. The roundtable conversation will include Joreen Waddell, a registered nurse who was one of the original students chosen to integrate Huntsville High School; Herma Owens Johnson, who taught in the segregated system; and Wendell Baker, Sr., who was active in the campaign to integrate SHSU. “ These individuals are wonderful role models and their stories are remarkable,” said Bernice Strauss, director of academic support programs at the Student Advising and Mentoring Center, one of the sponsors of the series. A reception will follow in the SAM Center, located in Academic Building 4 Room 210, so students can visit with the speakers, Strauss said. The program is also co-sponsored by the Elliott T. Bowers Honors Program, the history department, Kappa Delta Chi, Omega Delta Chi and the SHSU NAACP. Sam Houston State University students who would like to participate in the upcoming presidential election have until Oct. 2 to register, and several groups and individuals on campus are helping. Tables will be set up outside the Lowman Student Center main entrance from 10 a.m. to 3 p.m. Tuesday, Wednesday and Thursday. Students should bring with them a photo ID, such as a driver’s license and proof of local residence if they wish to register to vote in Huntsville. Often the most convenient form of local address documentation is a student transcript. Students who may not have proof of local address will be assisted in obtaining one. A laptop computer, printer, and a copy machine will be set up near the information desk on the second floor of the LSC. Students may also register to vote in their hometown, if their registration forms are postmarked by Oct. 2. Tamara Waggener, assistant professor in political science and a member of the SHSU American Democracy Project, coordinated the mall registration project. Students can also obtain voter registration forms at the SAM Center in Academic Building IV, on the corner of Avenue I and Bowers Boulevard. The American Democracy Project has initiated a "Mess with Texas-Vote" campaign. Its purpose is to get students more involved in the political process and to fulfill U. S. Education Code mandates that universities engage in good faith efforts to encourage students to register to vote. The College of Education and the department of educational leadership and counseling will formally dedicate the Jack S. Staggs Counseling Clinic and the opening of the Counselor Education Center on Thursday (Sept. 30). The event will be held from 10-11:30 p.m. at the Counselor Education Center, on the patio between the Teacher Education Center and the Counseling Education Center, at 1932 Bobby K. Marks Drive. For more information, call 936.294.1147. Students, faculty and staff will have the opportunity to “give the gift of life” on Tuesday (Sept. 28). The SHSU Student Health Center, in conjunction with the American Red Cross, will host a blood drive from 10 a.m. to 3 p.m. in the Lowman Student Center Ballroom. Each donor will receive a free T-shirt. 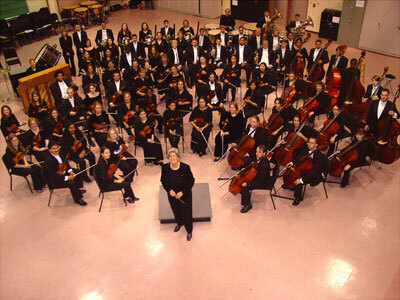 The SHSU symphony orchestra will “Summon the Heroes” with a salute to patriotism, veterans and troops on Saturday (Oct. 2) at 7:30 p.m. in the Killinger Auditorium. The “opening concert with a varied program of music” will also feature the SHSU symphonic choir, the SHSU men’s choir and the Huntsville men’s choir, according to Carol Smith, conductor and director of orchestral studies. SHSU music faculty members Randal Adams and Allen Hightower, as well as Norman Ward, Huntsville men’s choir conductor, will serve as guest conductors and performers. Tickets for the concert are $8 for adults; $5 for senior citizens and children; and free for SHSU students, faculty and staff with an ID. For more information, call the School of Music at 936.294.1360. The School of Music will be holding a jazz concert on Monday (Sept. 27) at 7 p.m. in the Killinger Auditorium. This will be the opening night for the SHSU jazz ensemble and lab band. “ The bands will play everything from ‘Straight Ahead’ to funk to jazz, so there is fun to be had for everyone,” said Scott Plugge, director of jazz studies. The concert is free and open to the public. For more information, call the School of Music at 936.294.1360. Teaching both parents and children about the benefits of proper nutrition and exercise as the first step in targeting obesity is the goal a new program created by the department of Recreational Sports. Family Fun and Fitness night will be held on the first Friday of every month beginning on Oct. 1. It will be held at 5 p.m. each session in the Health and Kinesiology Center’s Multi-purpose Room. The program will consist of a 30-minute workout designed specifically for children four to 12, followed by basic food facts, according to wellness supervisor Amanda Martinez. The first session will include yoga for children; the second session, to be held on Nov. 5, will include kickboxing; and the third, on Dec. 3, will include activities that parents can do with their children. The program is free for students and for faculty and staff is $5 for the family for one day or $10 for all three days. For more information, call Recreational Sports at 936.294.1985.